As I step off the plane and take in that first deep breath of chilled, clear, Southern air, I rejoice to be back in Dunedin. 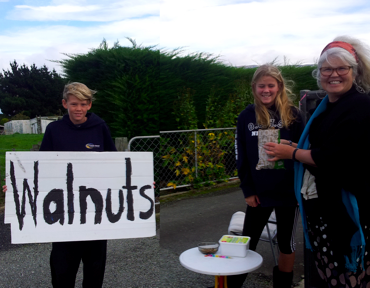 Just down the road, beyond the airport, an enterprising pair have set up a roadside stall selling walnuts. Walnuts, like people from the South, are hardy and thrive in a cooler climate. 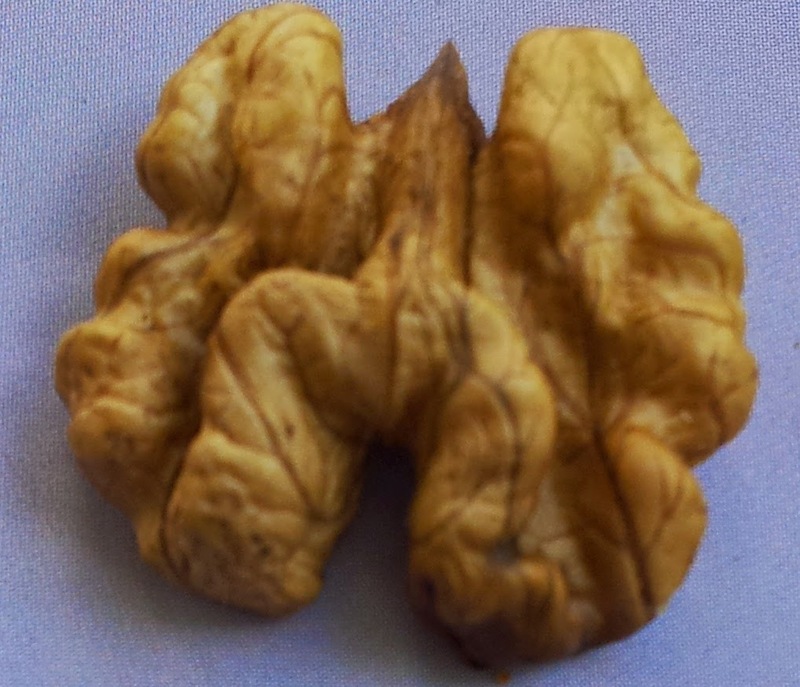 Walnuts are close to my heart because they connect me to the South and are a reminder of when my Mum lived in Central Otago with a massive walnut tree on her property. Looking rather strange and wrinkly, walnuts are the second most popular nut in the world. Nuts in general are good for us, but walnuts excel in the health stakes. They are great for your brain (they look a bit like a human brain). They help ensure a good night's sleep and keep your heart healthy. 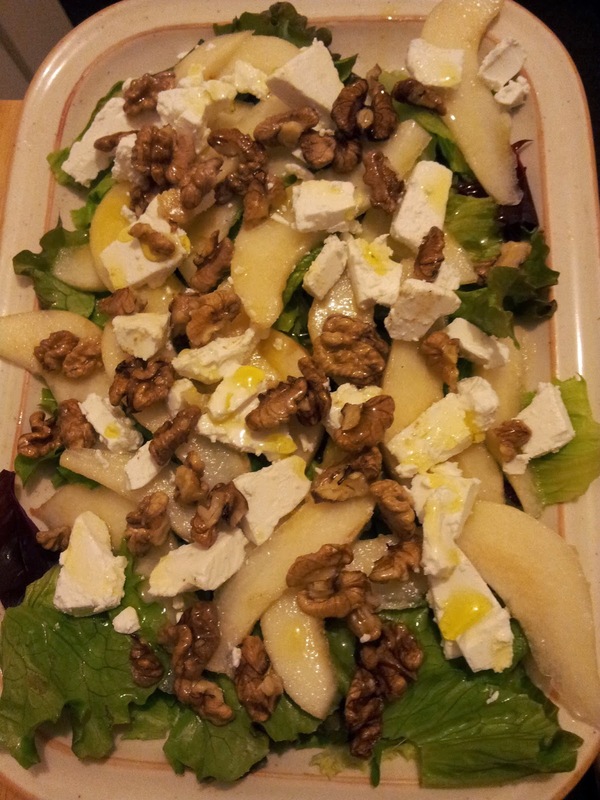 Back home in Auckland with my roadside walnuts and a bag of sweet pears from my sister's orchard, my first thought is to make one of my favourite salads. First, roast shelled walnuts (as many as you like but at least 1/2 a cup) in the oven with a little oil and 1/2 to 1 tsp of ground cumin. This should take as little as 8 minutes in a moderate oven. 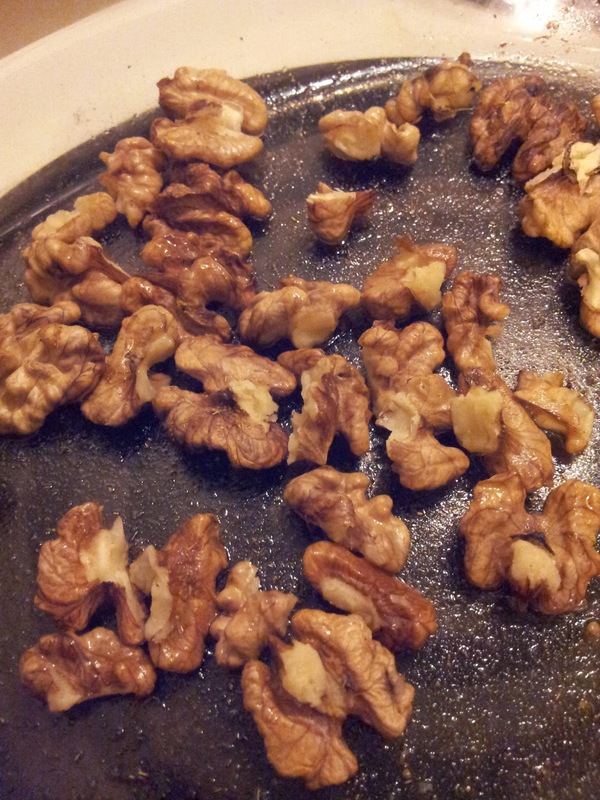 Keep a watchful eye on the walnuts as they easily burn. Roasting improves their flavour and adds crunchiness to the salad. 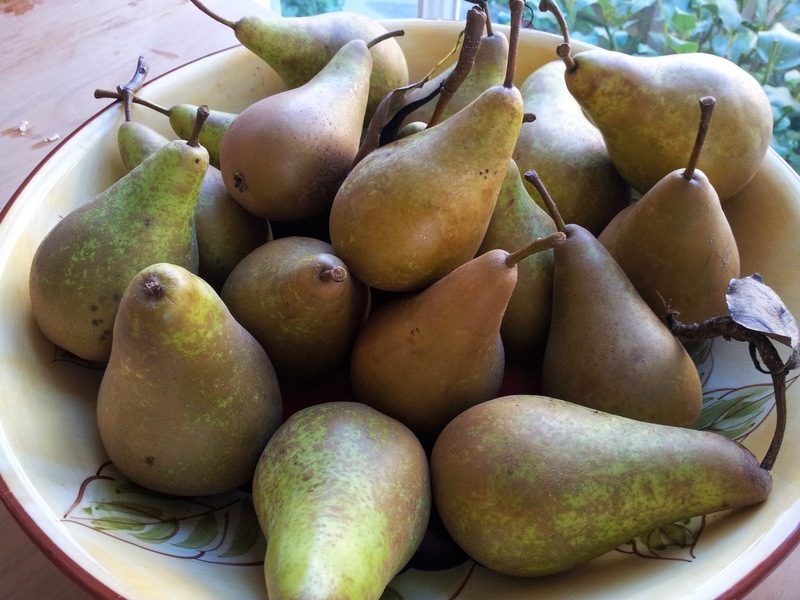 While the nuts are roasting, slice up the pears. It depends on the pear whether or not you decide to keep the skin on. Not peeling is the healthiest option. This is just one large pear I sliced and if you have a pear that is perhaps a little hard and not soft and juicy like this one, then a good trick is to also roast the pear slices. Cooking them softens and makes them sweeter. 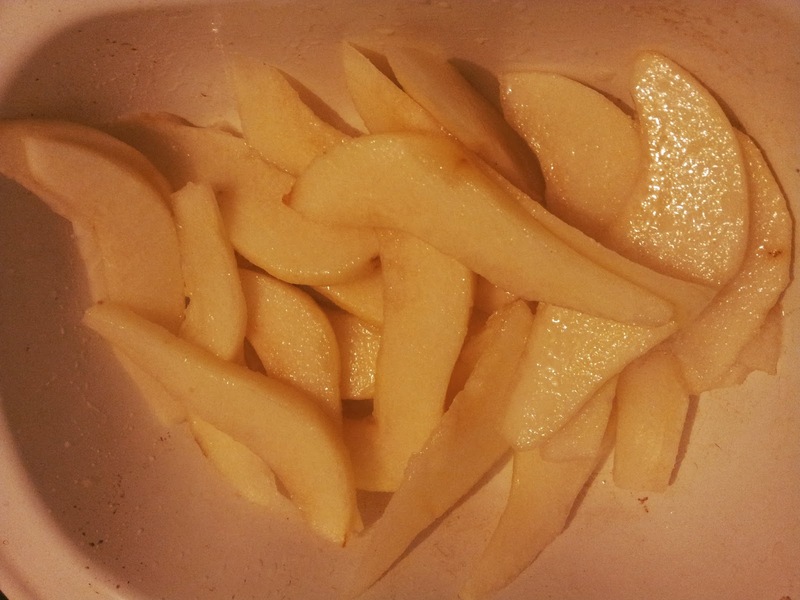 To avoid the pear browning with exposure to air, I slice them into a bowl and squeeze half a lemon over the fruit. If roasting your pears, also add a little oil. The third important ingredient is cheese. I use blue cheese but I had half a block of feta that needed using and I discovered the sharpness of the feta goes particularly well with the sweet pear and the earthy walnuts. The pears, walnut and cheese are laid out on a bed of green salad. I am lucky enough to still have lettuce and some rocket growing but this salad would also work with a base of young spinach. Final touch is a drizzle of my favourite oil which is usually avocado oil infused with lime, but any good oil would do. Walnut oil would be the ideal. Since discovering the power of walnuts, I decided to buy a small bottle of walnut oil. The only walnut oil I could readily find came from France. In Canterbury where walnuts grow very well a company called A Cracker of a Nut has set up a factory making walnut products including walnut oil from nuts they purchase close to home and from all over New Zealand. I will let Professor Geoffrey Savage from Lincoln University convince you on the Health Benefits of Walnuts. I am keen to track down a local source of The Golden Oil so named because of its wonderful colour. It's an expensive oil so I would only ever use it for salads, as a dipping oil or to brush over food as a finishing oil. In our house we have also begun to use the oil for its other external uses. Walnut oil helps relieve psoriasis, gets rid of wrinkles, massaged into the scalp will relieve flaky scalp and can get rid of fungal infections like athlete's foot. 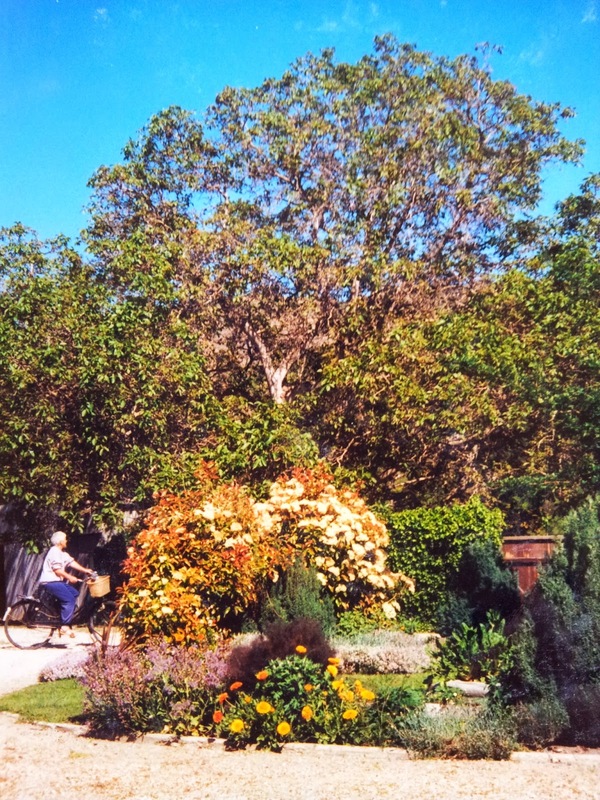 The walnut tree in Clyde; Mum on the bike shows the scale. At my mother's property in Clyde, Central Otago, there was a massive walnut tree. It was a constant job collecting and drying walnuts when they turned brown in March or April and dropped from the tree. For those of you lucky enough to have walnuts growing in your garden there is some good advice on Harvesting Walnuts. So when the Stonehouse company approached her in the early 80's to purchase half of the tree's production while they were still green to produce pickled walnuts, she jumped at the opportunity. I am sure that tree is still being harvested by Stonehouse pickled walnuts today. I haven't tried the Stonehouse walnuts that can be found in most deli food stores around New Zealand because I have been gifted pickled walnuts from two adventurous preserving friends at different times. I still had a large Agee jar of pickled walnuts in our Dunedin pantry when we made the shift north. 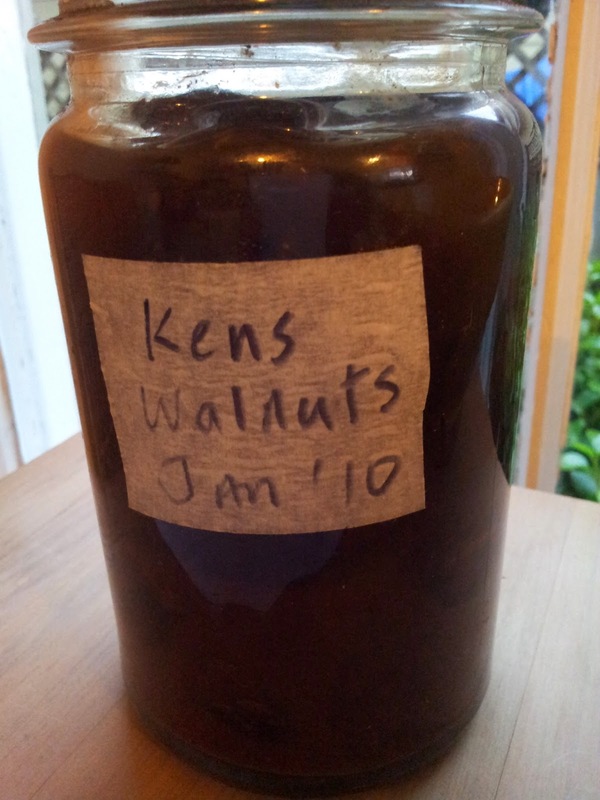 The process of preserving walnuts is long and complicated, so I just couldn't leave Ken's jar of walnuts behind. The pickled walnuts migrated north with us. I opened the jar the other day to try what the English (who first began pickling walnuts) state as a winning combination - Stilton cheese and pickled walnuts. And they are right. You need the sharp cheese to counter the pickle - together they are a delicious mouthful. 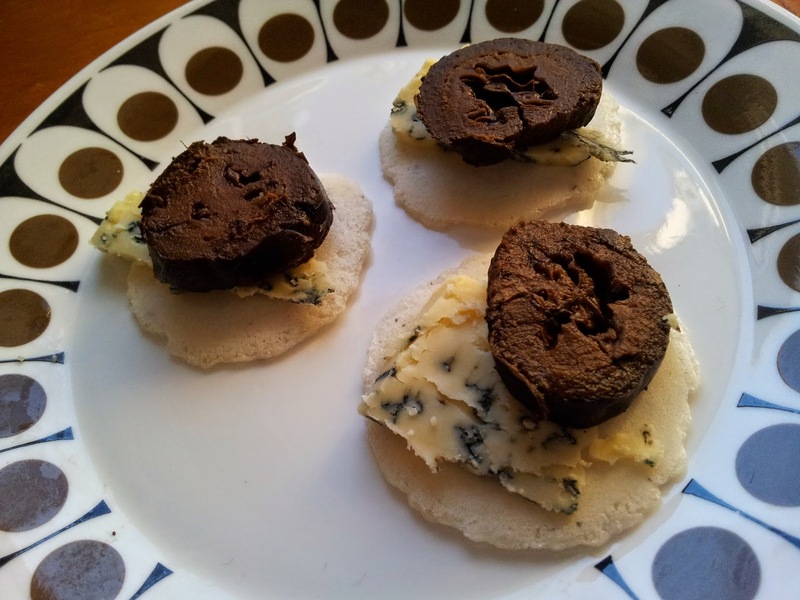 You don't necessarily need to use Stilton - any strong flavoured blue cheese would do. It's not just in savory that walnuts enhance. I used some of my freshly cracked walnuts for an Oat Pancake breakfast. First I roasted the nuts in a small skillet on the stove top, and while still hot added a tablespoon of honey. 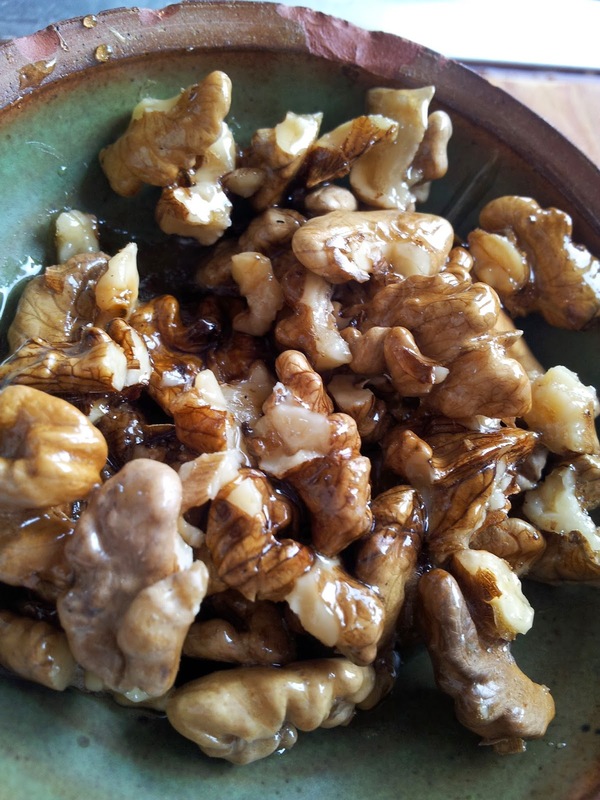 The honey sizzled and coated the walnuts in a devine sweetness. The oat pancake recipe you can find on my posting "The Secret to Light and Fluffy Oat Pancakes" October 2013. 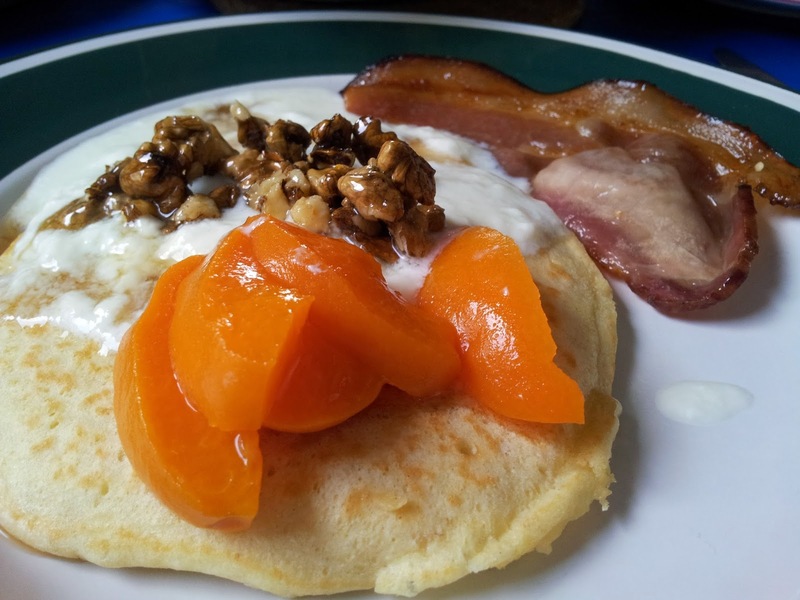 I complemented the pancakes with Augustines of Central preserved Vulcan apricots, bacon, yoghurt and the honeyed walnuts. A perfect start to a lazy Sunday. It does take time to crack your own walnuts but walnuts keep for longer in their shells. Once shelled I always keep the jar in the fridge to prolong their lives. A rancid nut is not good for you and tastes terrible. now one of my most treasured kitchen gadgets. 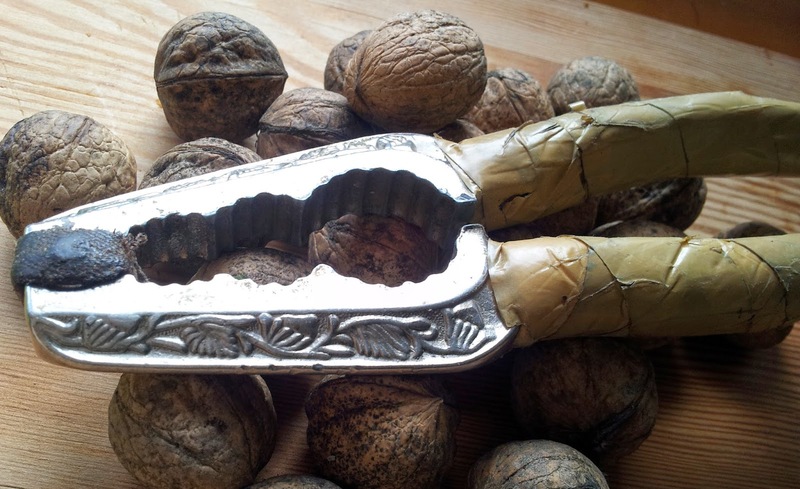 Every time I use it I think of her 'good life' years in Clyde when she tirelessly harvested and cracked walnuts to gift to family and friends. She was not only giving us something delicious but a gift of natural medicine.